Camp Miri Piri was conceived with the aim of giving the Sikh youth of today a true experience of the spiritual Khalsa lifestyle. The youth of today are looking for real answers to everyday challenges. They want to know how to deal with such challenges without any guilt attached. Rather than just telling them what should be done, this camp gives them a spiritual, mental & physical experience that can carry them through their challenges. Camp Miri Piri is designed to inspire warrior-saint values in the participants through practice, experience and theory. 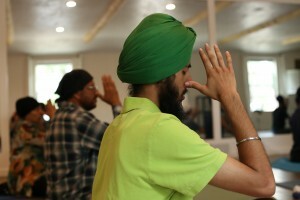 This camp is powerful, inspiring and joyful; it brings together the best of Western and Eastern Sikh traditions and culture. The founding body of Camp Miri Piri is a Singapore based national non-profit youth organization named, Sikh Sewaks Singapore. With the grace from the divine, Sikh Sewaks Singapore has been serving the South-East Asian youth Sangat since 1979. Sikh Sewaks Singapore gave birth to Camp Miri Piri in the June of 2004 in Singapore with a four (4) day, three (3) night camp which was held in a public school in Queenstown, Singapore. With the inspiration from Siri Singh Sahib, Bhai Sahib Bhai Harbhajan Singh Khalsa Yogi Ji, Rajveer Singh Khalsa, a devoted Sevadar of the Guru who was the President of Sikh Sewaks Singapore during that time, championed this project from the beginning. He and his dedicated team organized the first Camp Miri Piri with pride and inspiration which ended in success. The camp had participants from Singapore, Malaysia and Thailand. This was the first time the Sikh Sangat in Singapore & the neighboring country of Malaysia were introduced to the pioneer teachers of the camp. 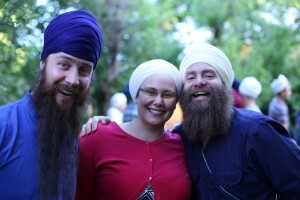 Jugat Guru Singh Khalsa, Sada Sat Simran Singh Khalsa, Harimander Jot Singh Khalsa (together known as the ‘Chardi Kala Jatha’) and Shanti Kaur Khalsa. Sikh Dharma International is happy to now be assisting with this effort by providing administrative support, marketing and fundraising.